KFC was spotted testing fried chicken and waffles earlier this year, building excitement that the chain might finally start selling the legendary dish. We now have confirmation that KFC's version of the classic combo is about to launch nationwide, November 12, in both platter and sandwich form. 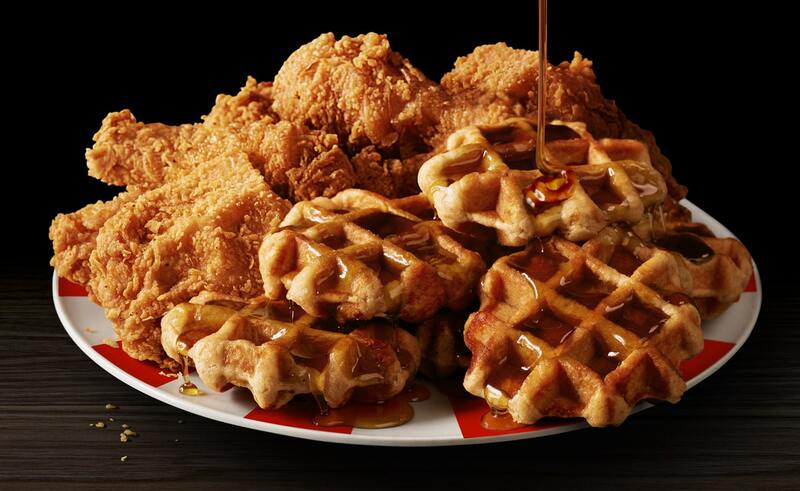 KFC's iteration of chicken and waffles will use their Extra Crispy Chicken, and swap out the traditional buttermilk waffle for sweet Belgian Liege-style waffles, made with a yeast-raised dough and pearl sugar to create the sweet, crunchy exterior. Customers will have the choice between whole pieces or tenders to pair with the waffles, and the entire dish comes with a side of Mrs. Butterworth's syrup. Prices start at $5.49 and change based on what chicken you choose. 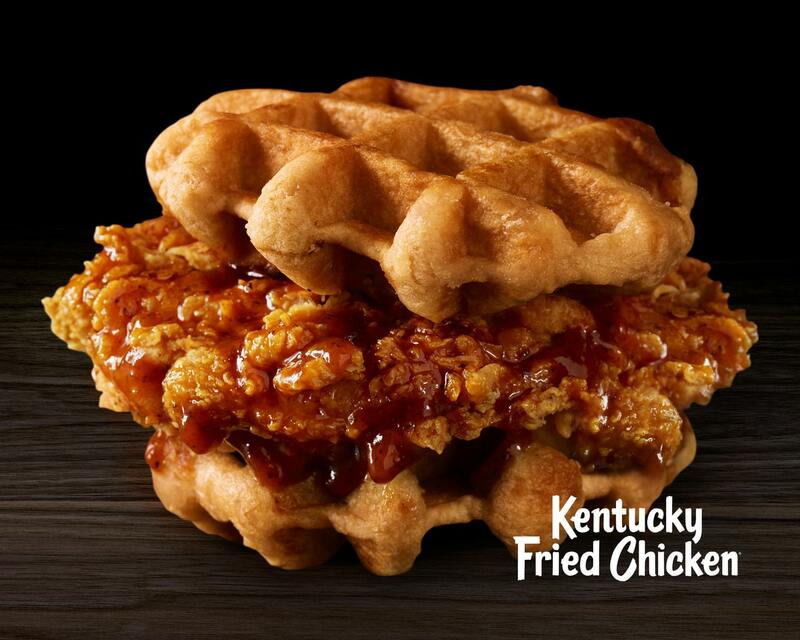 KFC also has a second version of chicken and waffles on its menu in the form of a sandwich. Two of the liege-style waffles act as the bread, sandwiching a Hot Honey-sauced chicken breast. The sandwich will be sold for $5.99. Both iterations that KFC is debuting of the iconic duo will be available on the menu through the end of the year.